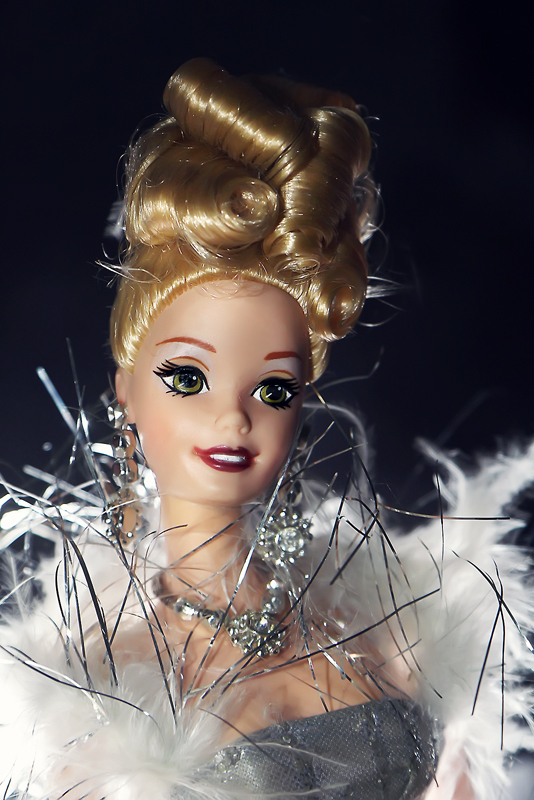 A quick search tells me its a Barbie Silver Royale 1996 and I bought it in the third grade. I think it survived so many years quite well. I think this is a stunning shot of a doll, it almost comes to live. It was my favorite in this challenge. Very surprised it didn't do better. Nice lighting and focus here. Voted earlier. Nice expression. You should've tried a hair light on her, I think. Proudly hosted by Sargasso Networks. Current Server Time: 04/19/2019 12:19:39 PM EDT.